What is Statistics for the Terrified? What does Statistics for the Terrified cover? Who is Statistics for the Terrified for? Statistics for the Terrified is a common-sense guide to basic statistics, designed for people who want to understand the principles without having to work through the mathematics first. It is ideal for undergraduates and for those who need a grasp of research and critical thinking in their work. Statistics for the Terrified is a common-sense basic guide to statistics, written in plain English with a minimum of mathematics (very little!). It makes statistics open to common sense. 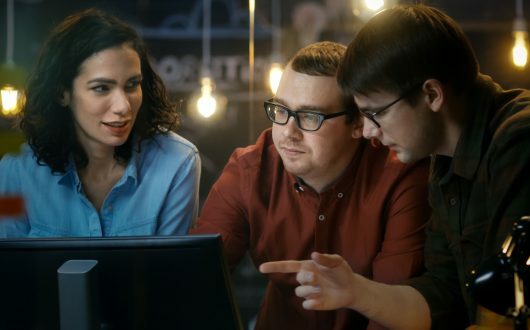 This tutorial is indispensable for students taking a basic statistics course as part of their main degree, especially non-mathematical students. Statistics for the Terri ed covers all the techniques required by undergraduate students and many researchers in a user-friendly, commonsense, non-mathematical and highly interactive way. "Our students who have made full use of Statistics for the Terrified have universally found this to be an extremely useful resource in getting up to speed... Keep up the good work!" "Well, I aced my stats course and I have to give credit to your program. It gave me straight forward explanations about some terrifying questions and I could go back and review as many times as I needed. All in all, you have a great product." 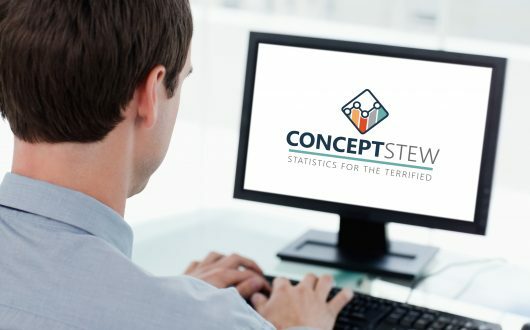 "I have found Statistics for the Terrified to be a valuable tool in helping students to grasp some core concepts in statistical testing such as the standard error, confidence intervals and hypothesis testing. I have found the interactive multi-media element of Statistics for the Terrified to be particularly powerful in this regard." "Congratulations for this fantastic piece of software. Certainly your software does fulfill my needs, and it also proves useful when it comes to just refresh a specific topic. One could consider it as well as an “ongoing refresher course”, very handy not only for beginners in statistics. Let me know if and when new versions are out. And BTW, it works perfectly under Windows 7 Ultimate." 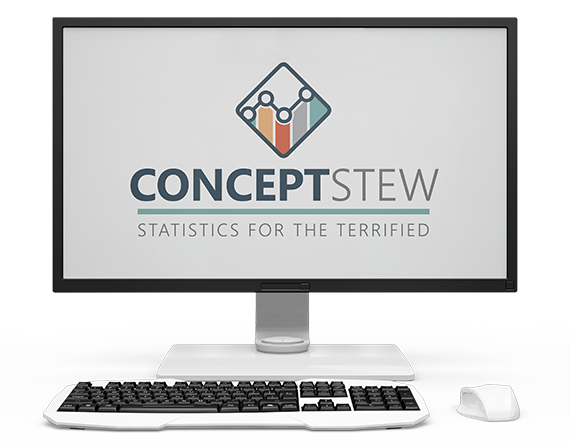 "Concept Stew supported us from start to finish in implementing this for our students – from providing the software in the most appropriate format for our needs to offering a support line for our students, they have been with us all the way, and always with a cheery message to make us feel like valued customers. We’re looking forward to working with them as the product develops." If you’d like to find out more, please get in touch. © 2019 Concept Stew Limited. All rights reserved. Company Registration No. 03612353. Registered Office: Haslers, Old Station Road, Loughton, Essex, IG10 4PL.